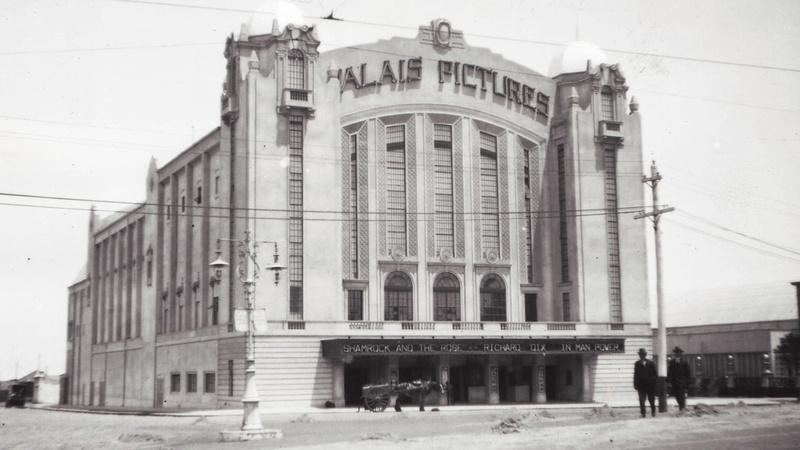 There have been several theatres named "Palais" in St Kilda, the first of which opened in 1914. At the end of World War I, the Palais de Danse, already on the current site, became Palais Pictures. In 1919, a steel-framed and arched truss structure was built over the old dance-hall which was relocated next door. The current Palais was built in 1927 and was part of a turn-of-the-century entertainment district. The theatre was originally owned by the Phillips brothers (Leon, Herman and Harold), three American showmen from Spokane, Washington. In 1922, the brothers brought in the architect Walter Burley Griffin to design a remodeled Palais Pictures. Construction of Griffin's plans began in 1925, but a fire engulfed the stage in February of the following year, just before completion, bringing work to a halt. When Griffin moved on to Sydney, the developers commissioned a new architect, Henry E. White, to build a larger, more grand theatre. When the last of the Phillips died in 1957, the Palais, the Palais de Danse and Luna Park were sold to local entrepreneurs in Melbourne. A brass plaque, still in place on the second level of the Palais, bears a tribute to Leon Phillips from members of the American community of Victoria. The theatre, which had operated primarily as a cinema until the 1950s, became increasingly popular as a live performance venue for top overseas stars such as Johnnie Ray, Bob Hope, the Rolling Stones, Tom Jones, Shirley Bassey and many others. In the 1960s and 1970s, the theatre regularly presented ballet, including The Bolshoi, The Kirov, Stars of World Ballet and The Australian Ballet and opera including Joan Sutherland in The Merry Widow. 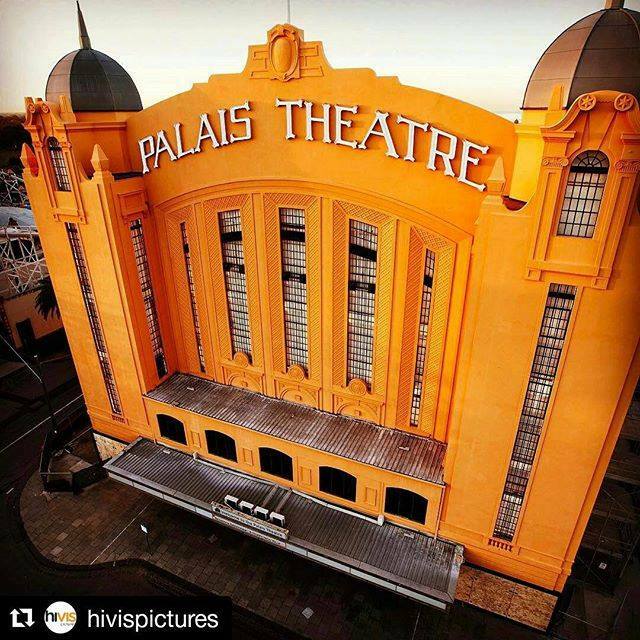 From 2007-2016 the venue was reinvigorated by Palais Theatre Management Pty Ltd increasing the number and range of live music events. As of April 2017 Live Nation Australia Venues has taken on the Palais Theatre’s operations and restoration works which will see it transformed over a 30 year period.